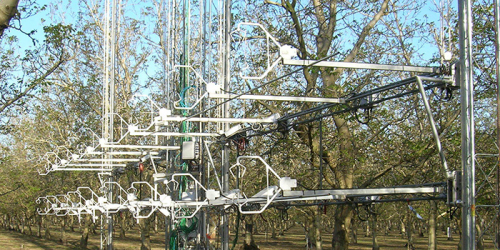 Campbell Scientific 3-D sonic anemometers are known for their research-grade performance, as evidenced by usage in a majority of NCAR, AmeriFlux, AsiaFlux, and NEON sites. The Campbell design features an extremely low ratio of transducer diameter to pathlength and a non-orthogonal geometry that keeps sonic paths closer to perpendicular with respect to mean horizontal flows, thereby minimizing transducer shadowing effects. The boom design also eliminates distortion of oncoming wind from support struts. New enhancements in design and calibration now give Campbell sonics superior long-term accuracy in sonic temperature, and our sonics are unique in that they are calibrated over temperature, providing higher accuracy across different environments. Our sonics may be paired with other scalar sensors (e.g., gas analyzers) for calculation of additional EC fluxes.